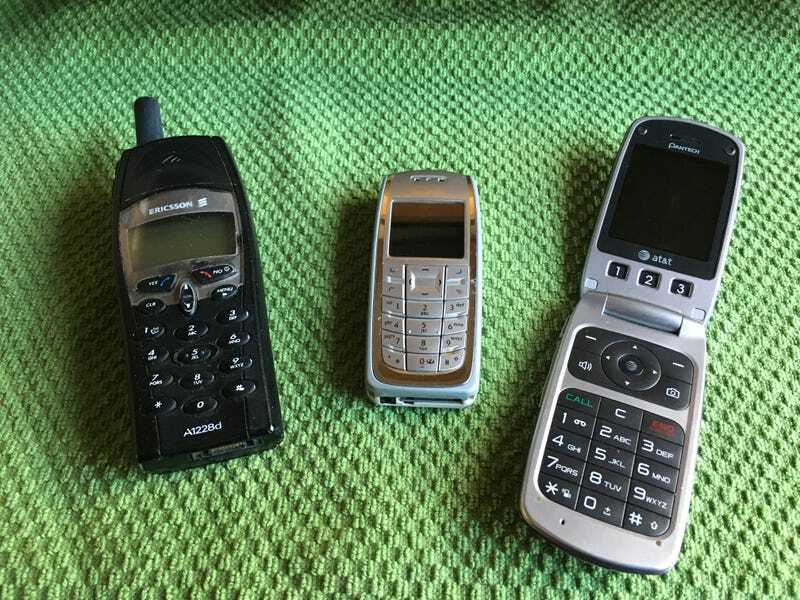 Three of the phones I had before I got an iPhone. There’s another super brick phone that I no longer have, or at least can’t find. That Ericsson on the left was a fantastic phone. Great sound, super loud ringer. The Nokia in the middle was okay, but that Pantech flip phone was an absolute piece of crap.